Alex Lifeson Shares the Story Behind "Closer to the Heart"
Today GuitarWorld.com posted a short interview with Alex Lifeson where he discusses the process of writing "Closer To The Heart" off of 1977's A Farewell To Kings. 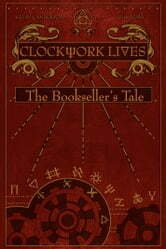 UPDATE 4/29 - Yesterday Kevin J. Anderson announced: "First release from CLOCKWORK LIVES: The Bookseller's Tale is now available in all eBook formats. Cool multiverse tale of Mrs. Courier! Also includes an afterword on the writing of the project with Neil Peart...and a cameo from Vertical Horizon's Matt Scannell." You can purchase the ebook of The Bookseller's Tale now at Smashwords.com. 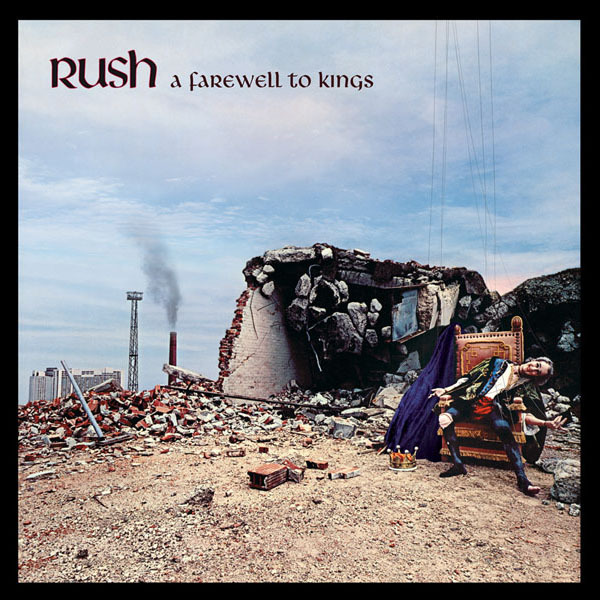 "In Clockwork Angels, #1 bestselling author Kevin J. Anderson and legendary Rush drummer and lyricist Neil Peart created a fabulous, adventurous steampunk world in a novel to accompany the smash Rush concept album of the same name. It was a world of airships and alchemy, clockwork carnivals, pirates, lost cities, a rigid Watchmaker who controlled every aspect of life, and his nemesis, the ruthless and violent Anarchist who wanted to destroy it all. "Anderson and Peart have returned to their colorful creation to explore the places and the characters that still have a hold on their imagination. Marinda Peake is a woman with a quiet, perfect life in a small village; she long ago gave up on her dreams and ambitions to take care of her ailing father, an alchemist and an inventor. When he dies, he gives Marinda a mysterious inheritance: a blank book that she must fill with other people’s stories — and ultimately her own. Clockwork Lives is a steampunk Canterbury Tales, and much more, as Marinda strives to change her life from a mere 'sentence or two' to a true epic." For more info, check out Kevin J Anderson's 35 minute Rushcast podcast interview given on March 1st where he speaks at length about the the new novel. Well, we're not finished as a band. We still talk about recording. Who knows, there may be an opportunity in the future to do not a big tour, but a series of concerts ... like a week in Massey Hall or Radio City Music Hall. Ged and I are just itching to get back into writing. He just revamped his studio, and he's not a tech kind of studio guy. He doesn't know how probably even one per cent of that stuff works. But he's had this renaissance of being a musician and wanting to play and study more — it's really inspiring to see. When things slow down we'll start to do some writing, for whatever purpose. We've always talked about doing some soundtrack work. Ged and I are just itching to get back into writing. He just revamped his studio, and he's not a tech kind of studio guy. He doesn't know how probably even one per cent of that stuff works. But he's had this renaissance of being a musician and wanting to play and study more — it's really inspiring to see. When things slow down we'll start to do some writing, for whatever purpose. We've always talked about doing some soundtrack work. With Neil, he really wants to take some time off and spend more time with his daughter. His daughter's very young. After what he's been through, he'd like to be more connected to his home life. Alex Lifeson appeared on Renman Live! on Wednesday April 22nd at 5pm PST to talk about his career and Rush's upcoming 40th anniversary tour. The complete video is available here. As announced last fall, Rush is reissuing the complete Mercury era albums on 200-gram heavyweight vinyl in chronological order throughout 2015. This will include all studio and live albums through A Show of Hands. 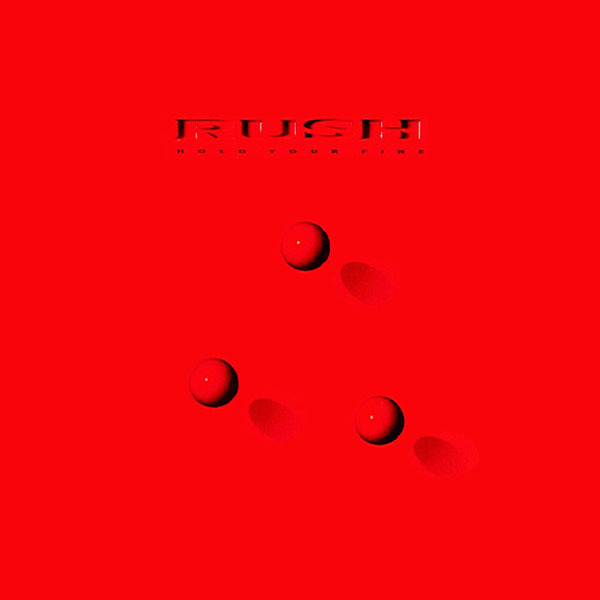 Previous vinyl reissues include Rush reDISCovered, Fly By Night (vinyl and blu-ray audio in 5.1 surround sound), Caress of Steel, and the 2112 hologram edition. These vinyl reissues also include a 320kbps MP4 vinyl ripped Digital Audio album download, and can also be purchased separately as high resolution Digital Audio. The next release to hit store shelves is A Farewell To Kings hitting store shelves today, April 21st. 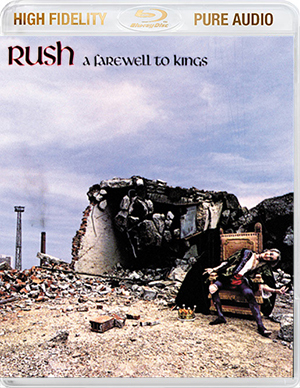 In addition, the A Farewell To Kings 5.1 surround sound "blu-ray-audio remaster" is also now available; this was previously only available in the Sectors 2 boxed set. Back in January we shared that Geddy Lee is one of the many musicians interviewed for the documentary film "Jaco: A Documentary Film", about legendary bassist Jaco Pastorius. A short snippet of Geddy discussing fusion music from the documentary can be seen below. The first annual Asbury Park Music in Film Festival took place over the weekend, and "Jaco" won the Foundation Award (Presented to the Asbury Park Music Foundation's selection for the APMFF premier film). For more info, click here. - Thanks to RushFanForever for the headsup! Drumstrong.org is auctioning off a 14" drum head signed by 19 celebrity drummers that was mounted on Neil Peart’s first drum kit with Rush (1974 chrome Slingerland). The auction ends the evening of Sunday, April 19th. The head features the signatures of 19 celebrities who played on this drum head at PASIC 2009. The head was later signed by Neil Peart himself on 9/26/2010. Please note that this head is not original to the kit, it was placed on the kit during the Pasic International Drum Show in Indianapolis where it was played and signed. Click here for additional auction details and to bid on the item. All proceeds from this auction are to benefit DrumsForCures, a non-profit charity organization that produces DRUMSTRONG events to raise awareness and funds for cancer survivorship, education and research globally that support people with cancer and those who love them. For more info visit www.drumstrong.org. 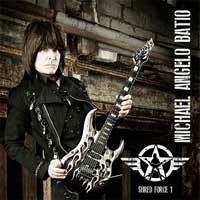 Michael Angelo Batio's "Shred Force 1" Now Available, includes cover of "What You're Doing"
Michael Angelo Batio, considered to be a pioneer of the shred guitar genre, has released his first-ever career retrospective, Shred Force 1: The Essential Michael Angelo Batio. Highlighting his best work to date, it also brings together many nationally renowned musicians from the hard rock and heavy metal genres. The album features some of Michael’s most memorable performances including a dynamic version of Rush’s “What You’re Doing,” which features Queensrÿche vocalist Todd LaTorre, Metal Church guitarist Kurdt Vanderhoof, Alice Cooper bassist Chuck Garric, Metal Church/TSO drummer Jeff Plate and guitarist Craig Blackwell. An official audio stream of “What You’re Doing” can be found below... You can order the album here. - Thanks to the B-man for the headsup! 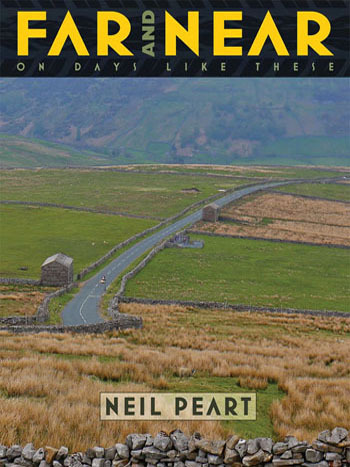 Back on January fifth, Neil Peart appeared on CBC Radio One's The Next Chapter with Shelagh Rogers to discuss his latest book Far and Near: On Days Like These. The radio show is now available for streaming here. - Thanks to RushFanForever for the headsup! "A man of talent, curiosity and diverse enthusiasms that include baseball, birds and bottles of fine wine, Geddy Lee, of Rush, feels a particular attraction to London. The band, which is celebrating its 40th anniversary with a North American tour that kicks off in early May, has spent a lot of time recording and performing in Britain, and Lee is a regular visitor to a a city that he summarizes as 'his and enduring.'" 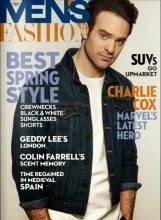 You can read the full interview on page 28 of the Spring issue here. - Thanks to RushFanForever for the headsup! Win a Meet & Greet with members of Rush! The Rush Backstage Club has begun their first contest of the R40 Tour to Win a Meet and Greet with members of RUSH! They will draw one lucky winner for every city on the upcoming RUSH R40 Tour to win a pair of meet and greet passes to meet members of RUSH. Only one entry PER PERSON PER CONCERT DATE is permitted. This contest closes on July 9th, 2015. Draws will take place approximately 1-2 weeks prior to show date and winners will be notified by email. Click here for complete details and to enter. Humble Bundle is running a special bundle highlighting books by Kevin J. Anderson's own small publishing company, WordFire Press. It's an amazing deal of 16 books, where you pay what you want, and a portion of the proceeds goes to charity and the rest gets divvied up among the authors. This is a great chance for Rush fans to get a copy of the story along with a lot of other novels, and it's for a great cause. For complete details visit https://www.humblebundle.com/books. Clockwork Angels: The Graphic Novel coming May 12th, containing all six comic book issues based on the original novel, Clockwork Angels: The Novel. 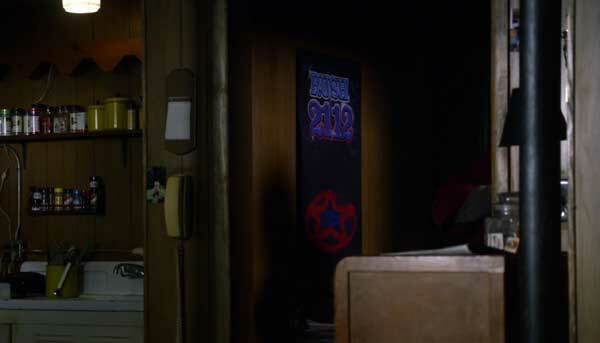 From Monday's season finale of AMC's "Breaking Bad" spinoff, "Better Call Saul", Saul visits his old friend Marco, and in Marco's basement apartment there is a 2112 poster. This is the second Rush poster featured on the show. Back in February, we reported how episode 4 included a scene where you could see a commemorative poster for Rush's Aug 14, 1974 Pittsburgh show (first show with Neil Peart) on the back wall. - Thanks to RushIsABand for the screen capture. Hold Your Fire was my only Rush cover. In the mid to late 80s Hugh Syme and I collaborated on several projects. Hugh worked with Rush as their art director from very early on. We were both art directing conceptual album covers, although I was creating the images with photography, and at the time, Hugh was primarily a painter. The collaboration was an interesting and productive mix. I cast the fire juggler, this great character actor, Stanley Brock, who's mostly known for his role in the film Tin Men. We originally had Dennis Hopper on board, but kept running into scheduling conflicts. In the original version, we also flew in the boy who modeled for Hugh's painting for the Power Windows cover. He was seen looking out of the apartment window, but it was decided that he didn't really enhance the shot...there was so much going on. Earlier Rush covers are referenced in the image, and Power Windows was covered by the period TV sets in the room. In hindsight, both Hugh and I regretted using that image in the inside of package. It was a little too "clever" using the three red balls for the cover, and leaving the more epic and memorable image for the inside of the packaging. While it might not look like it, the cover with the red balls is photography, as well. I had my set guys physically sculpt the RUSH text into a 4' x 8' surface that was then painted a high gloss red by an auto body shop. The printer combined the red billiard balls during the pre-press. I still have the set piece in my garage. I thought it would make a cool door. You can read the full interview here. - Thanks to RushFanForever for the headsup! Clockwork Angels: The Animated Movie - April Fools'! Over the last three years, in addition to Rush's excellent album Clockwork Angels, Rush fans have been treated to the expanded steampunk universe of The Anarchist and The Watchmaker in the Clockwork Angels novelization written by Kevin J Anderson and Neil Peart, and again with Clockwork Angels: The Graphic Novel illustrated by Nick Robles. 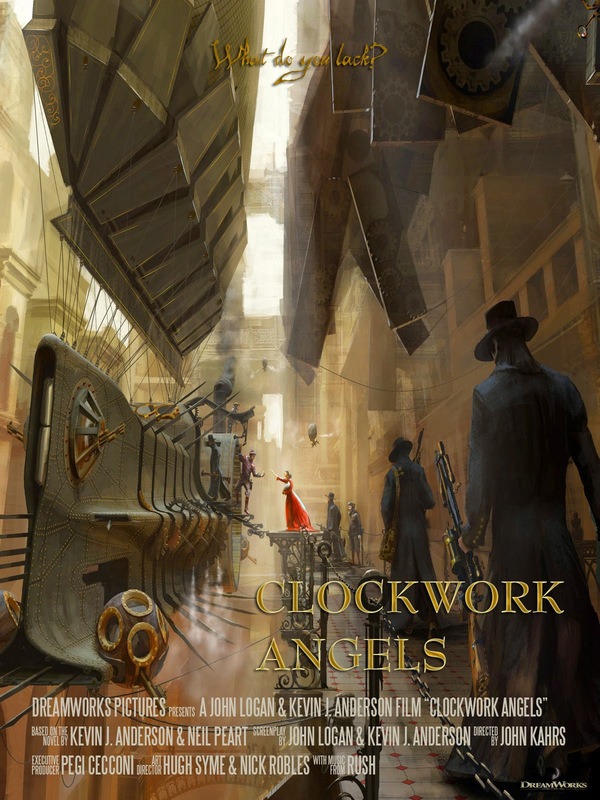 This fall we will also be treated to the followup to the Clockwork Angels novelization, titled Clockwork Lives (now available for preorder in hardback and scheduled for release on September 15th). We have now learned from a Rush fan at DreamWorks Animation SKG, who asked to remain anonymous, that the Clockwork Angels story is being brought to the big screen in Summer 2016. As detailed in the working movie poster provided here, the screenplay was co-written by Kevin J. Anderson and famed screenwriter John Logan, and the art direction is a steampunk inspired collaboration by Rush cover artist Hugh Syme and the graphic novel illustrator Nick Robles. Best of all, the film will feature the music of RUSH! Stay tuned for more details as we learn them.